And here is the result. I just adore it. 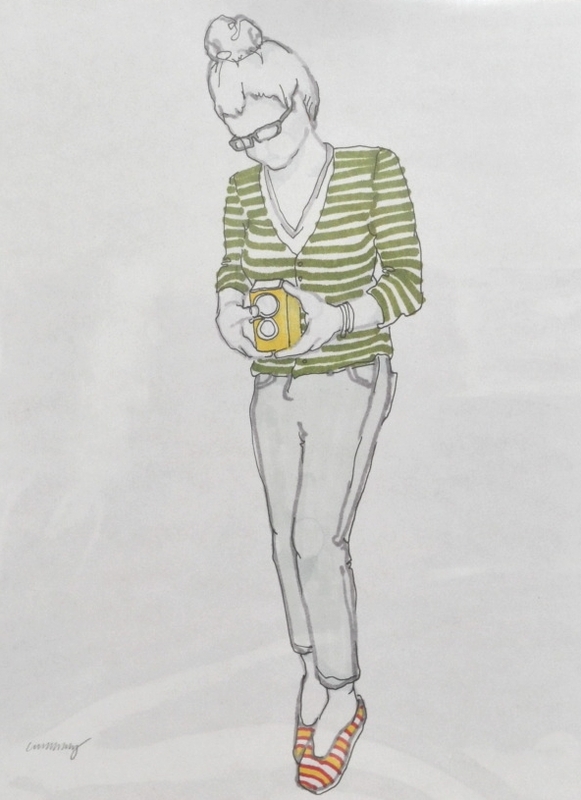 I love the yellow camera, all the stripes, the cute shoes and my usual outfit of a cardigan and jeans, woohoo!! See more of Caitlin's portraits here, she is one seriously talented lady!! !